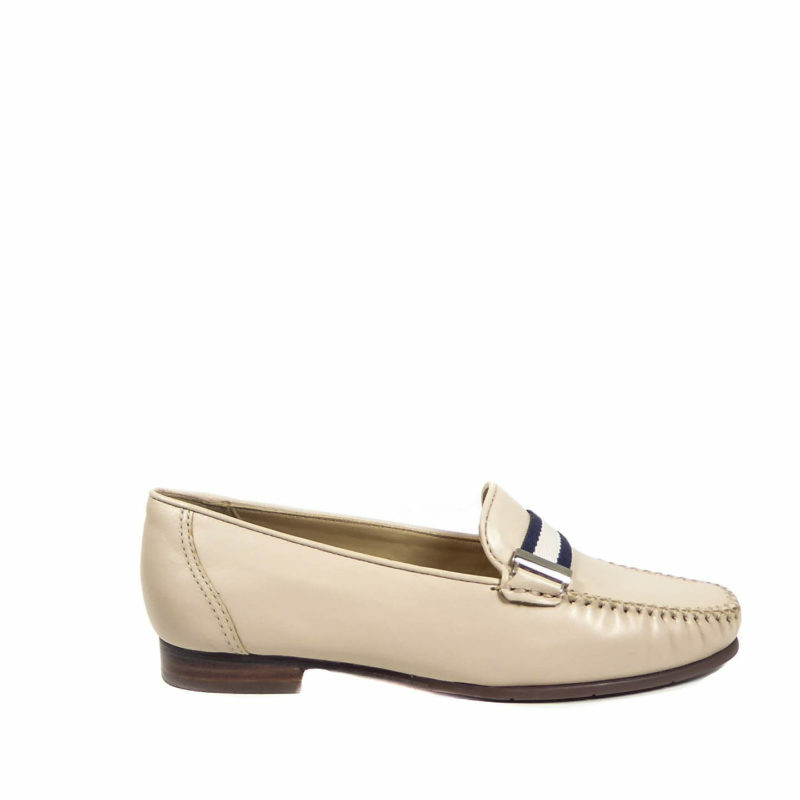 Slip on wedge sole shoe in metallic gold. Crafted from premium leather, with a removable inner sole for orthotic replacement if required. The cleated sole is graduated and the toe almond shape. Flowers adorn the upper.